This International Women’s Day we are celebrating a Bromley businesswoman who is empowering mums across the borough who want to get back into work. Jane Knight set up her business, Successful Mums in 2014 after finding it hard to find part-time work following the birth of her first child. Fast forward to today and the specialist training and confidence courses she runs have helped thousands of mothers revive their careers, embark on completely new paths and really get their mojo back, so they can achieve anything they put their minds to. Inspiring stuff indeed. We had a good old chinwag with the teacher-coach-career advisor, who will be running her Back to Work programme at The Glades completely free of charge in April and May. What can people expect from your course at The Glades? It’s a friendly and professional course to help women returning back to work. We help with that gap on the CV, career advice, where to find the part-time and flexible jobs, confidence building techniques, personal styling plus links to local employers that support women returners. The course also includes one-to-one, bespoke career coaching including advice on taking a new path, arranging work experience and looking at your field and job options. What’s one of the biggest issues you feel women face today about getting back into work? I think it’s not knowing where to start. It can be quite isolating, especially if you don’t want to go back to the same type of role and want to do something different that fits in around your family. That’s where we can step in and offer a starting point and career advice, so women have clarity about their options. Have you noticed any surprising common denominators between the women who attend the courses? The majority of the women we help haven’t recognised the parenting skills they have that can be taken into the work place. Since becoming a parent my negotiation, time management, conflict management, organisational and creative skills have all improved! What’s your top tip you’d give to women wanting to set up their own businesses? Choose something you are passionate about then it’s easier to sell your product or service and this will get you through the more challenging times too. What’s the key to getting the work-life balance right? I don’t think there is a magic formula, the closest I can get is knowing what a work-life balance means to you then looking at the small steps to make this happen. Where possible delegate, ask for help, dinner plan, buy online to save time, buy birthday cards in bulk, keep a diary, learn how to switch off so you are supercharged when you are switched on again! Can you tell us about a really proud moment you’ve had as the founder of Successful Mums? Influencing employers to see the benefits of flexible working and employing women returners. You’re hosting an International Women’s Day dinner. Which women from history or the present would you invite? Recently, my daughter and I have been reading a book called Women in Science and we have discovered Elizabeth Blackwell the first female doctor in America was a pioneering woman, defying expectations by becoming a doctor in 1857 and went on to found a School of Medicine for Women. So inspirational. 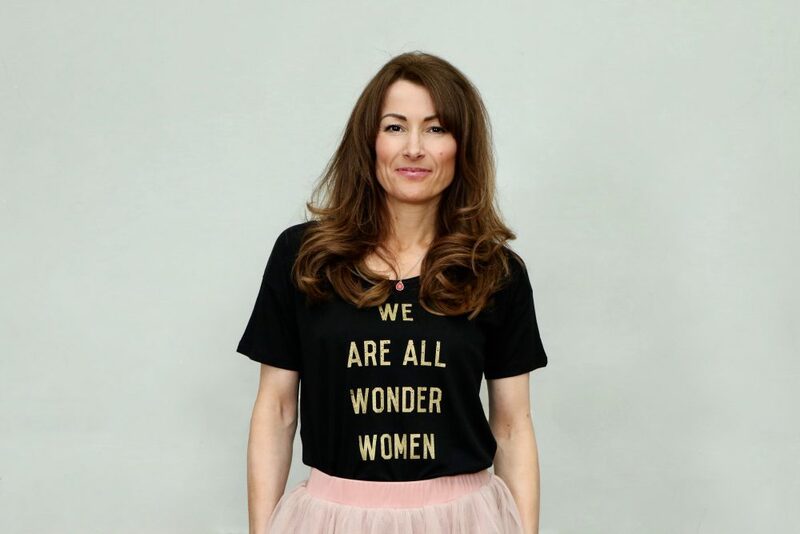 From the present day, there are many but top of my list would be Melinda Gates, Michelle Obama and Serena Williams along with people I know including author and speaker, Penny Power, entrepreneur Angela Middleton and a lady called Penny Ferguson who inspired me to start my own business. Of course, my own mum who has always been there to help me. What message do you want to send out to mums who are thinking about starting a new career? Find someone who can help you on your journey, connect with people that do what you want to do. Get career advice and a coach that can make the right connections for you and arrange work experience. Jane Knight from Successful Mums will be running her Back to Work course at The Glades on Wednesday 24 April and Wednesday 1 May from 10am to 2pm. Book your free place today.